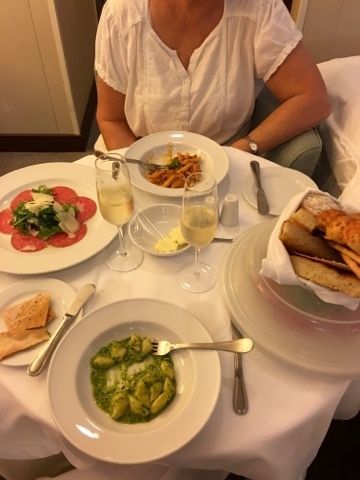 Monday we had no dinner reservations, so we took advantage of staying in a suite by ordering dinner from Toscana, the Italian specialty restaurant. 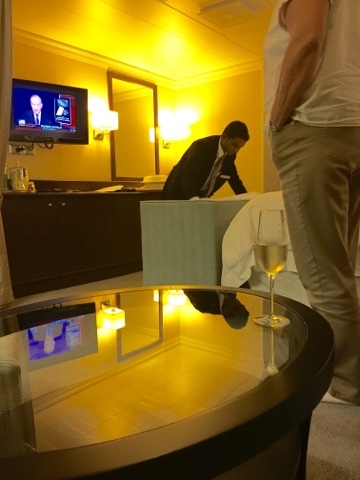 Madan, our butler, delivered it promptly. It's fun to enjoy carpaccio and pasta in our own room.